Anyone gutsy enough to take a countertrend forex trade? 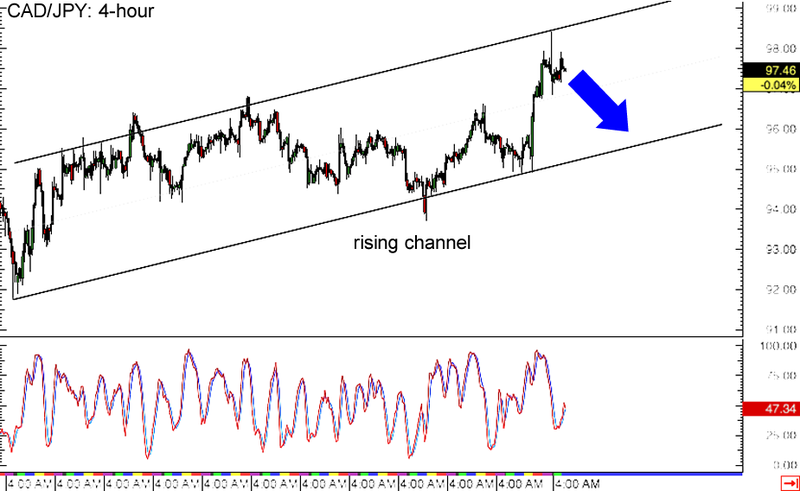 You might like this rising channel setup on CAD/JPY’s 4-hour time frame. The pair just tested the top of the channel near the 99.00 major psychological resistance and bounced right off, indicating that sellers aren’t willing to let the pair go any higher. A move towards the channel support around the 96.00 major psychological level could be in order, but stochastic is starting to climb and reflect a return in bullish momentum. If so, another test of the channel resistance is possible. If you’d rather follow the trend, then you might like this USD/CHF setup better. 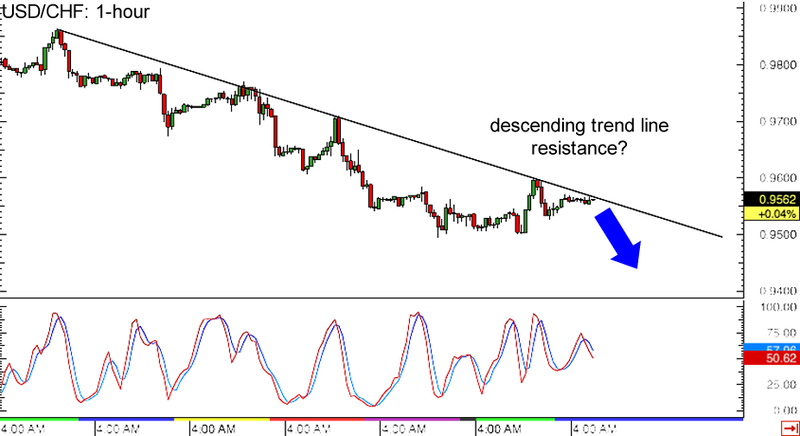 The pair’s recent highs on its 1-hour forex time frame can be connected to form a descending trend line, which might continue to hold as resistance. Price is currently testing the trend line near the .9550 minor psychological resistance, and this might keep further gains in check since stochastic is heading lower. USD/CHF could head back to its previous lows around the .9500 mark from here or perhaps create new lows if selling pressure is strong enough. Just make sure you set your stops right in case a breakout takes place! Here’s one for the Fibonacci fans out there! 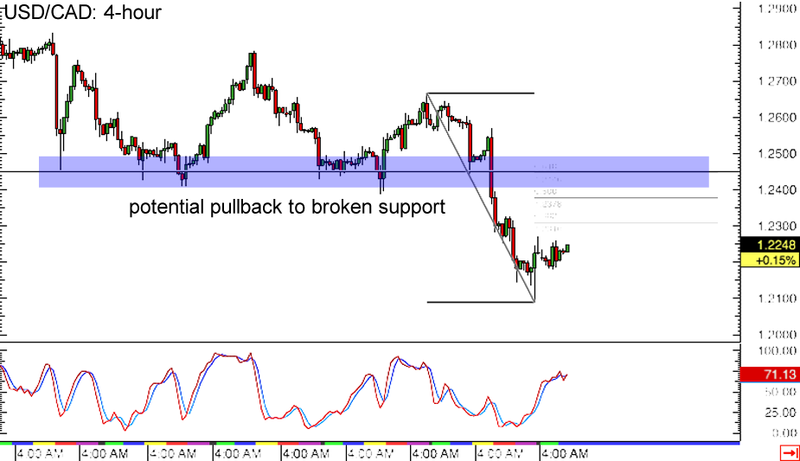 USD/CAD could be in for a potential retracement, as the pair is showing signs of a pullback on its 4-hour forex chart. After breaking below support at the 1.2450 minor psychological level, price dipped to the 1.2100 handle and bounced. Stochastic is still moving up, which means that buyers are in control for now. Using the Fib tool on the latest swing high and low reveals that the 61.8% Fibonacci retracement level lines up with the former support, which might hold as resistance.